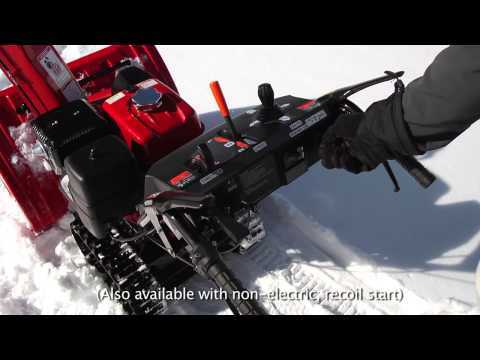 POWERFUL, EASY TO START HONDA GX ENGINE: The commercial grade Honda GX390 OHV engine offers plenty of power to churn through the snow. 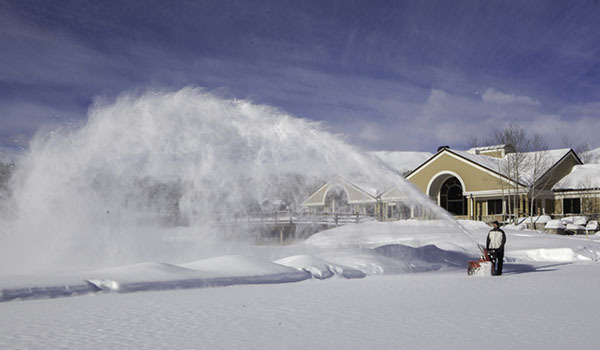 Starting is easy - even in cold weather. 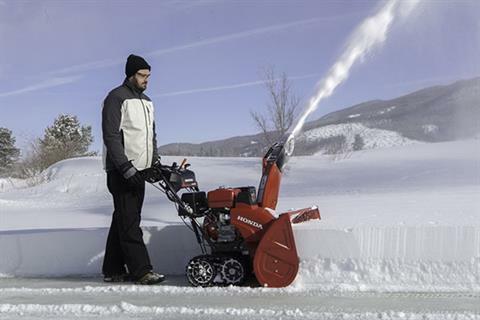 EXCEPTIONAL THROWING DISTANCE, 56 FT. MAX: Two-stage snow blowers use a fast spinning impeller in the discharge duct to throw snow faster and farther. 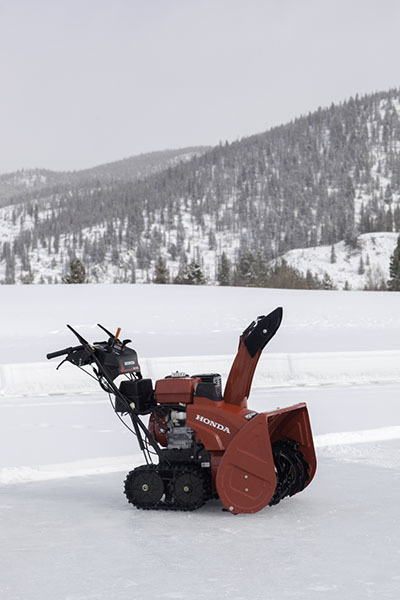 The HSS1332 has a larger impeller diameter for increased snow removal - offering throwing distances that exceed many competitors. CLEARS UP TO 2750 POUNDS PER MINUTE: The HSS1332 can handle large snowfalls with ease. 31.9 IN. CLEARING WIDTH, 21.7 IN. 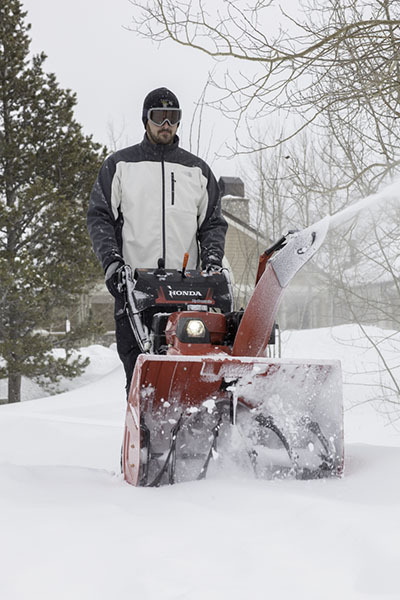 CLEARING HEIGHT: The HSS1332 can handle large snowfalls with ease. FINGERTIP CONTROLS: Controls & displays are close at hand, but not in your way. CONVENIENT CONTROLS: The HSS1332 offers ergonomically-designed controls for operator convenience and safety. Controls are conveniently laid out and easy to reach. AUGER PROTECTION SYSTEM: The HSS1332's auger drive shaft and impeller blower are protected by easily replaceable offset shear bolts. Should the auger engage a solid object, the shear bolt will break to prevent auger or impeller shaft damage. 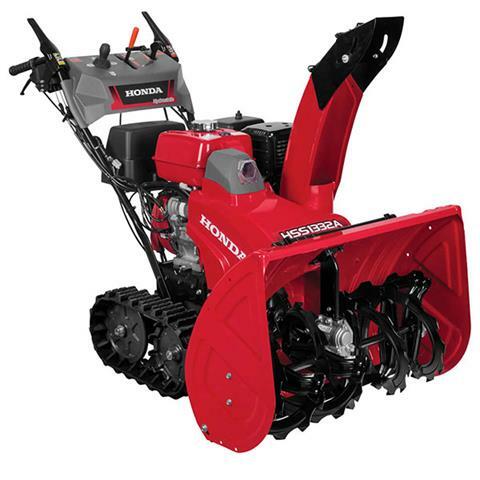 EASY TO USE INTERLOCKING DRIVE/AUGER CONTROL: One hand drive control allows you to easily adjust snow direction and distance with the chute controls. HOUR METER WITH AUGER LOCK INDICATOR LIGHT (HS1332ATD ONLY): The handy hour meter gives you an accurate record of hours worked, ensuring servicing at the right time. HIGH POWERED LED HEADLIGHT: A powerful built-in LED work light makes the HSS1332 easy to use, even in the dark. Provides exceptional lighting and high visibility in all conditions. The LED light offers performance and a lifespan that competitors' incandescent bulbs can't touch. LARGE GAS TANK WITH GLOVE-FRIENDLY CAP: The HSS1332 offers a large, easy to fill gas tank with a built in fuel gauge and a glove-friendly gas cap. Maximum discharge - 2,750 lb. / min.